Are you looking for some handmade decorations for this Christmas festival? 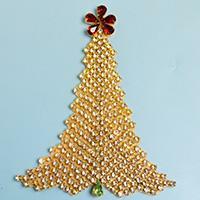 If yes, do not miss this Pandahall tutorial on how to DIY felt Christmas tree with beads and chains. 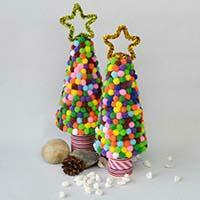 As the Christmas Day’s coming, do you wanna DIY handmade Christmas tree yourself? Here I will show cute Christmas tree decoration to you all. 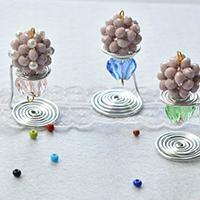 In this easy Pandahall video tutorial, you will learn how to make wire wrapped and beaded ice creams for home decoration. Hope you enjoy the DIY process. 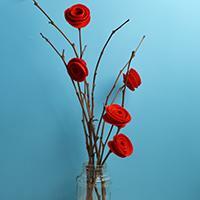 This Pandahall video tutorial will share an easy red rose home decoration idea with you. Just give it a try! 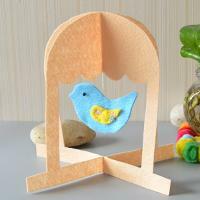 Need any cute crafts for kids? 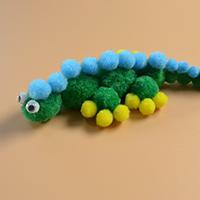 Then hope this Pandahall tutorial on how to make cute crocodile pattern crafts is helpful for you! 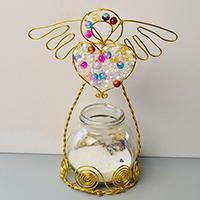 In this Pandahall tutorial, you can see a golden wire wrapped angel candle holder with beads. Hope you like this golden wire wrapped angel candle holder. Today, I want to share some easy DIY home décor ideas with you. 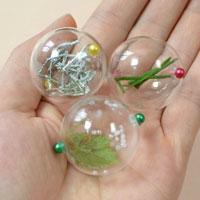 It's very easy to make the glass bead plant décor crafts. Come on and have a try! Are you always troubled by the mess on the table? 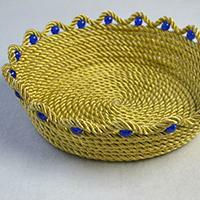 Here is a great solution for you – making an easy coiled basket with ropes! Here we go! 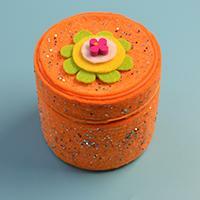 In this article, you can see an easy Pandahall video tutorial on how to make an orange felt storage box with recycled box, felt, sequins and wood flower beads. 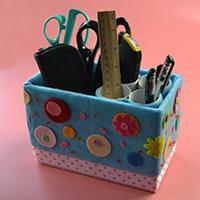 Are you seeking for ways to make your desk tidy? Here I will show you an easy craft project to solve that! Need any interesting crafts to decorate your house? If yes, you can check this Pandahall tutorial on how to make lovely seed beaded birdcage for home decoration with felt. Hope it helps! Wanna make some beautiful wind chimes for your house at weekends? 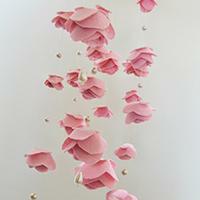 How about this beautiful pink rose wind chime with pearl dangles? 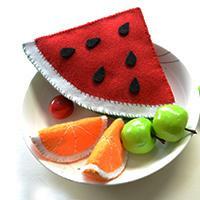 Love easy felt craft? 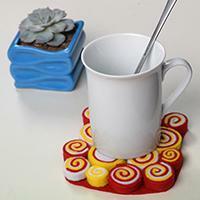 If yes, you can’t miss today’s Pandahall tutorial on how to make easy felt tea coaster for kids! 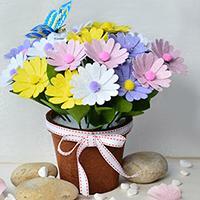 In this tutorial, you are going to see a detailed instruction on making colorful felt flower pot for house decoration with felt craft material kit. Enjoy your time! Wanna make a DIY fruit bowl? 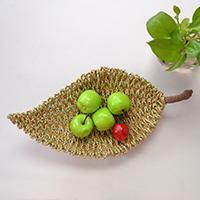 What about this gold PU leather cord wrapped leaf fruit bowl? The following Pandahall tutorial will show you how. 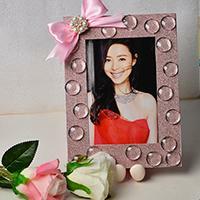 Do you want to make your own personalized photo frame at home? Follow this video tutorial, you can also diy your photo frame for home decoration! Tired of various beading patterns for jewelry? 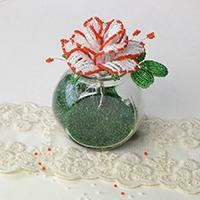 How about making a 3D beaded candle craft for your house? Come with us to learn the details. Need a simple flower vase? If yes, look here! I’ll share you a Pandahall tutorial about home décor ideas on how to make simple seed beads flower vase! 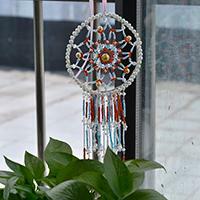 This article is aimed at tutoring how to make a beaded dream catcher wall hanging decoration for houses. If you're interested in it, have a nice try!